In our collection of vintage toys we want to show you the Playsacks by Fredun Shapur today. 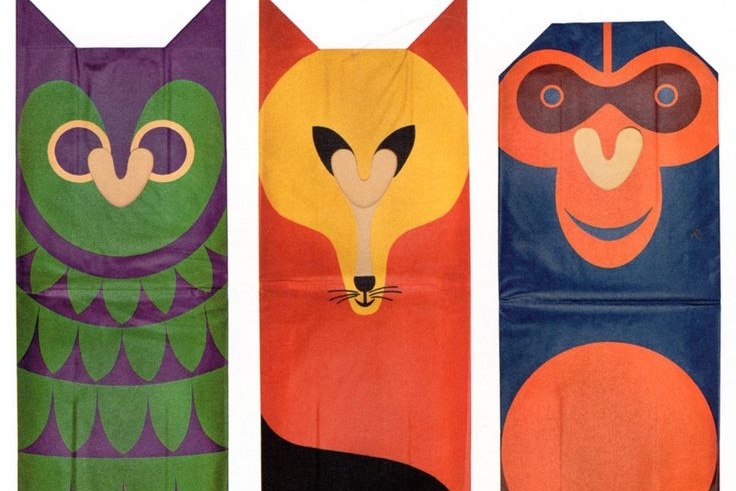 Fredun Shapur is a South African born toy designer and illustrator and the creator of these fantastic “Playsacks”, designed for Creative Playthings in 1968!! Yes, thats right, 1968! Their look is so strikingly contemporary because of their modern use of colours and their graphic refinement. And yes, you can put the sacks on your head because they are made of paper! In total there have been 12 different designs, children could disguise themselves as tigers, pandas and zebras, amongst others. The idea is so simple but great it seems strange there have not been new, contemporary designs lately. 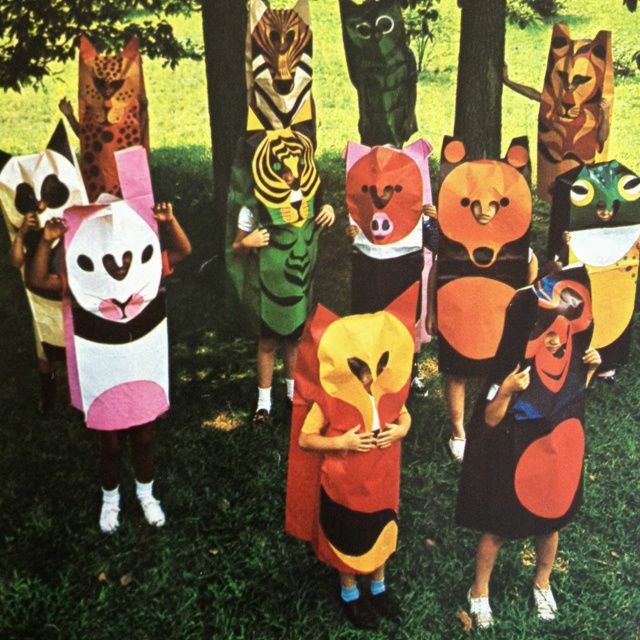 Like Bruno Munari or Charles Eames, Fredun Shapur (born 1929) made a particular daring and inventive contribution to the world of children. Between the 1960s and 1980s he designed toys for manufacturers such as Naef in Switzerland, Galt Toys in Great Britain, and above all Creative Playthings in the United States. From wooden puzzles and racing cars to animal disguises, Shapur’s toys still have the power to challenge and enchant. 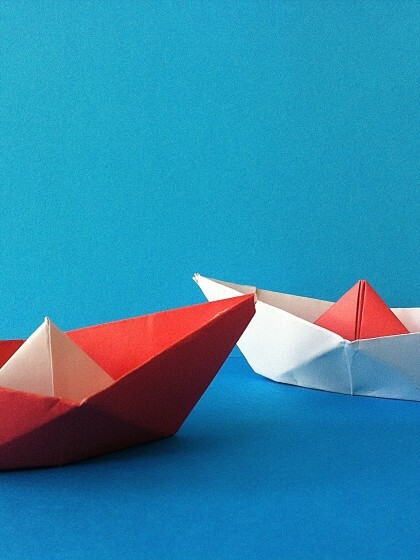 Just like his graphic work for books, posters and corporate design. Want to see more of Fredun Shaper´s design: Some of his objects have been part of the PLAY exhibition in London. And for the lovers: Recently there has been published a book about his work by Edition Piqpoq.